Brownie and cake pops are a big trend for parties so why not add a little fun to your Halloween party with these tasty and spooky treats! 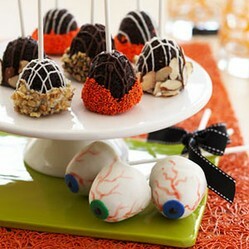 Looking to add some spooky fun to your Halloween party dessert table? Then you've come to the right page. Here you'll find ideas for creating the cutest brownie and cake pops for Halloween. 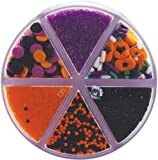 Spiders, eyeballs, pumpkins, ghosts, they are all covered here and best of all, you'll get all the resources with step-by-step instructions so you can create these yummy treats right in your own kitchen. Get Started Making Your Pops! There are several ways to make brownie pops, but here I will focus on how to make pops using the Wilton Brownie Pop Mold so that you can create the designs in the images shown on this page. That said if you don't have the mold and just want to give brownie pops a try, you could simply bake a box of brownies using your favorite store-bought mix in a regular rectangular pan and then simply cut them into small square 1 inch pieces using a knife. 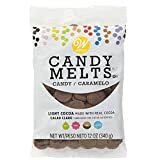 Follow the instructions below for inserting the sticks, dipping the brownie squares in candy melts, and decorating them. You'll still end up with adorable party favors or spooky little chocolate covered brownie gifts for your party guests. 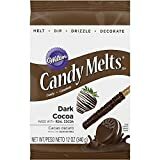 Get All The Wilton Products from Amazon Today! 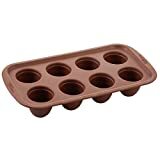 Wilton's silicone round brownie pop mold pan is a perfect material to bake brownies - no crunch edges! Bake brownies, cool, add cookie sticks, and you've created a brownie pop. Add color, fun and sweetness to everyday and every occasion with Wilton POPS. Sweets on a Stick publication, soft cover; 112 pages. Use these sticks with our Brownie Pops Pan for fun-to-eat treats. Just bake, cool and pop in a stick. Step 1 - Baking The Brownies & Making The "Pops"
Mix the brownies according to the package directions. Then fill the Wilton Brownie Pop mold with the batter and bake according the mold instructions. Please note that you should generously spray each cup in the mold with Pam or use a vegetable oil-dipped paper towel to grease the inside of each cup. Let the brownies cool completely inside the molds on the counter or in the refrigerator. Pat the bottoms flat and un-mold the brownies. Insert the 6" or 8" stick in each brownie to create a "pop" and place them on a cookie cooling rack that is placed on top of a cookie sheet in preparation for decorating. NOTE: Before inserting the pop sticks, decide which design you want to create. As you can see in the photos below, sometimes the sticks go in the wide end of the brownie and sometimes they go in the "tip" of the cone shape depending on the design. Choose your favorite Halloween brownie pop design from the photos shown above and below. Be sure to click on the image of the design that you like to get step-by-step instructions for any of the designs. 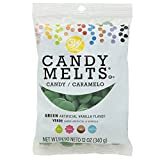 Most of them follow the same basic principles which are to dip the pops in chocolate or colored candy melt and then decorate with sugars, sprinkles, or edible "paint" pens to create the desired design. After choosing your design, you will know if you need white, orange, black or whatever color for the dipping process. 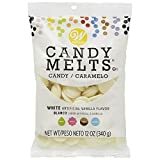 Follow the instructions on the candy melts to melt them either in the microwave or in your Wilton candy dipping pot. Then dip the cooled brownie pops into the melted candy or chocolate. For designs with sprinkles or sparkles, you will dip in the chocolate, then immediately dip the bottom of the pop into the sugar or sprinkles to ensure that it sticks to the pop. Then cool the chocolate dipped brownies on the cooling rack with a cookie sheet underneath (or on parchment paper to keep them from sticking). If you choose a design that has faces or lines like pumpkins, ghosts, eyeballs, etc., I suggest buying some edible paint pens so that you can simply draw the design on the cooled chocolate pops. I've found this is much easier than using piped icing. Fun, Creative and Easy to Create Ideas for Making Cakes and Cupcakes Fit for a Halloween Feast! Looking for a quick and easy way to transform your cupcakes into Halloween cupcakes? Try some of these Halloween cupcake wrappers or Halloween cupcake picks. Get some great decorating and baking ideas for Halloween cookies! Yummy recipe and fun decorating idea for ghost cupcakes! Seasonal ideas for brownie and cake party pops. No Halloween party is complete without some Witch's Brew or Monster Punch! The ultimate guide to Halloween party desserts - you'll find a little something for everyone! If you are using your pops to create a centerpiece at a Halloween party, you have several fun options. One is shown above where someone took a colorful green colander and put it upside down on top of a plate then placed the brownie pops through the colander holes to create the centerpiece. 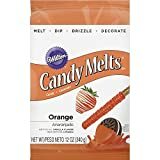 Alternatively, you could buy a small pumpkin and drill small holes all over the pumpkin where you can place the brownie lollipops. I've seen this done to make fruit bouquets for Halloween centerpieces as well. You can paint a jack o' lantern face on the outside of the pumpkin to make it even more festive. 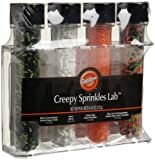 Alternatively, if you plan to send the Halloween brownie or cake pops home with your guests as party favors, then you can place them inside individual clear cellophane favor bags and tie them with a piece of ribbon that matches the colors of the pops or inside individual party favor boxes that are a fun Halloween color like black or orange. Set them out on a tray or in a Halloween gift basket and instruct guests to take one with them when they leave the party. Here are some more ideas for bite-sized morsels of Halloween deliciousness! Many of these ideas utilize the same Wilton Brownie Mold, but rather than decorating and making them into "pops", you simply serve them on plates, tiered stands, or in party favor boxes. 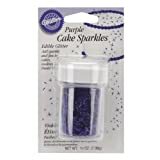 In any case, they are another great option for decorating and serving the treats you make in your Wilton molds. This is a great idea. I would have loved a few of these in my trick or treat bag when I was a kid. This looks so yummy and great idea. Dear God, those brownie pops look amazing! I must try some of those. Love the photos! Yum, I have yet to try one of these brownie pops but I have been hearing a lot about them! 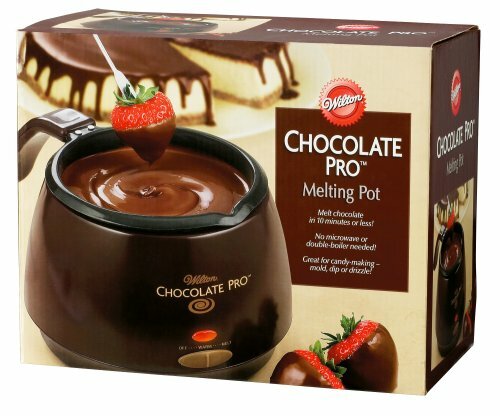 Now I have a craving for chocolate, these photos were way too good! These look like such fun. The grandkids would love them. WOW what an amazing page, looks great and so much fun. I will be putting this to good use. I second Mistyhorizons thanks, great recipe! Celebrate Halloween with one of these spooky Halloween cocktails......or two or three! !